With relations between the West and Russia at historic lows, French President Emmanuel Macron travels to St Petersburg Thursday to seek common ground with Russian President Vladimir Putin. The talks between the two come at a crucial time for their relationship which has been marked by sometimes harsh exchanges but also an awareness they need to work together on crises spanning Syria, Iran to Ukraine. Having bet on turning US President Donald Trump into a buddy with charm and flattery, 40-year-old Macron has taken a different approach with Putin since emerging as the surprise winner of France’s elections last May. 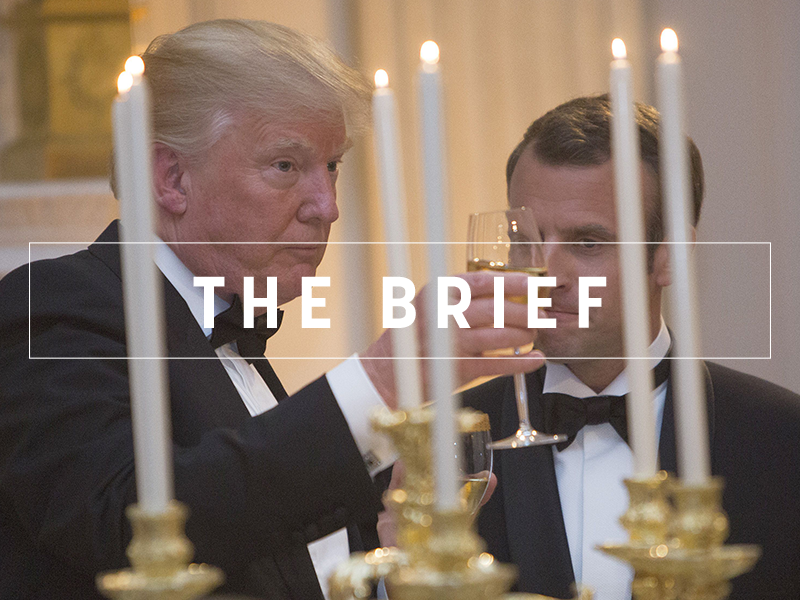 Such is Emmanuel Macron’s ‘golden boy’ status that he is the subject of the Brief for two days in a row. At their first meeting in the majesty of the Versailles Palace outside Paris, Macron slammed Russian state media publicly for spreading “lying propaganda” during the French election campaign. 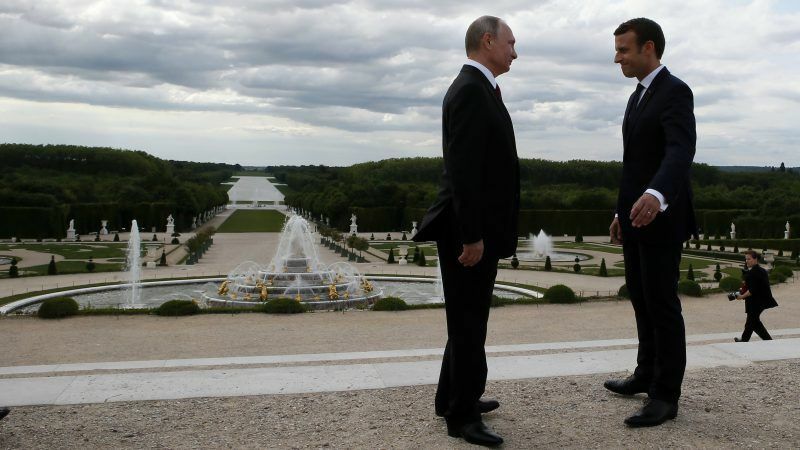 The presidents of France and Russia met at Versailles yesterday (29 May) in an attempt to inject some life into bilateral relations. An uncompromising Emmanuel Macron heavily criticised Russia’s propaganda outlets, Sputnik and Russia Today. EURACTIV France reports. “I do believe that we should never be weak with President Putin. When you are weak, he uses it,” Macron told an interviewer from the Fox News channel ahead of his trip to Washington last month. During his three-day US tour, Macron had sought to persuade Trump to respect the 2015 international deal that puts curbs on Iran’s nuclear programme — to no avail. 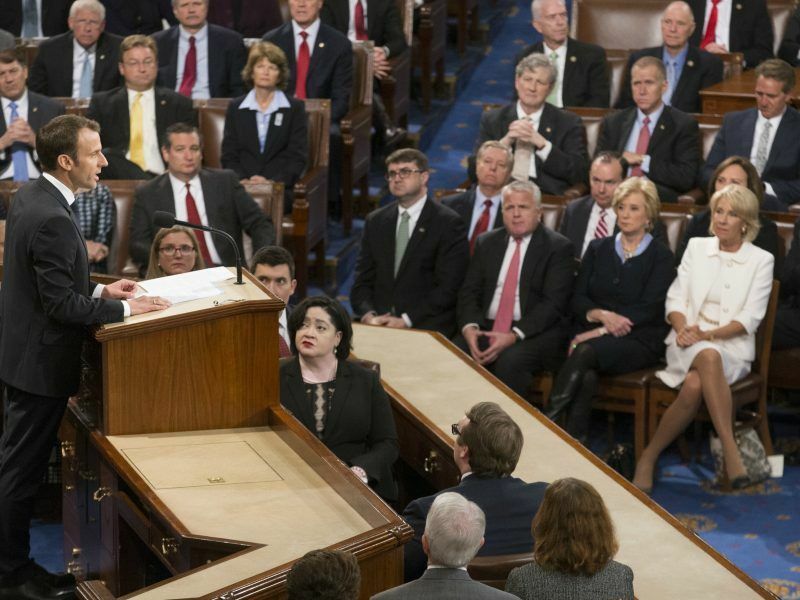 French President Emmanuel Macron urged the United States to embrace multilateralism and warned of the perils of trade war and “extreme nationalism” in an address to Congress on Wednesday (25 April), pushing back against Donald Trump’s “America First” agenda. This issue is now seen by some analysts and diplomats as an area where France and its European partners Germany and Britain can find common ground with the Kremlin and — perhaps — a means to improve badly strained ties. 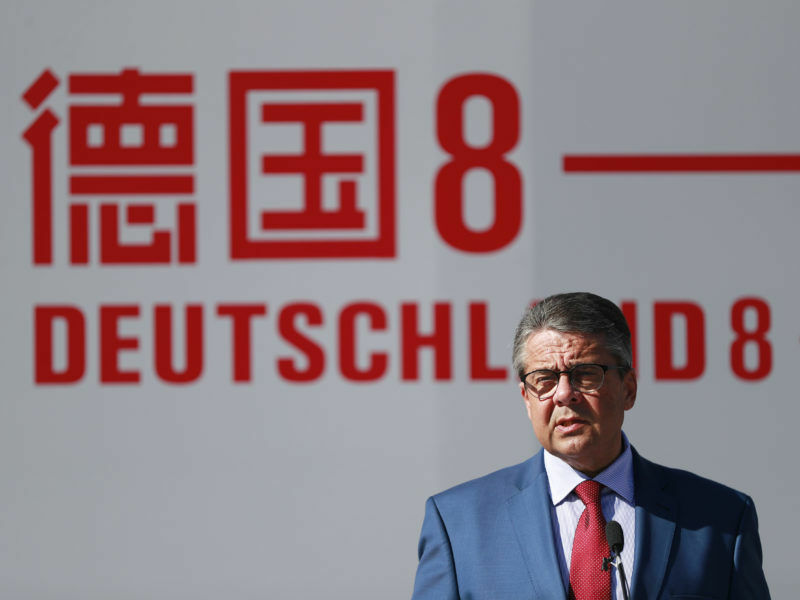 US President Donald Trump’s expected move to “de-certify” the international nuclear deal with Iran is driving a wedge between Europe and the United States and bringing Europeans closer to Russia and China, Germany said on Thursday (12 October). Both the EU and Moscow, signatories of the Iran deal along with China and the US, want to maintain the accord and fear a return of destabilising, unilateralist US policies in the Middle East. “It creates a new basis for cooperation between Russia and Europe, without ignoring the differences that still exist,” a Russian diplomat told AFP on condition of anonymity. Those differences remain large and unresolved on a host of issues, including the war in Ukraine, where Russia backs separatists in the east of the country, as well as the use of chemical weapons. France joined Western countries in expelling Russian diplomats after the attempted murder of a former Russian spy in the British city of Salisbury on 4 March, allegedly with a secret chemical weapon manufactured in Russia. Macron has also been critical of Putin’s shielding of Syrian leader Bashar al-Assad at the UN Security Council, where Russia has thwarted attempts to apportion blame for chemical attacks blamed on Assad’s regime. Macron is seeking “a serious dialogue… to try to find common ground,” an aide told reporters last week. “We are doing it with our eyes open… aware of the difficulties,” added the official, who spoke on condition of anonymity. France has taken the lead in Europe in trying to find a political settlement to the devastating Syrian civil war and the issue is likely to figure prominently, along with Iran, in the talks in St Petersburg. Accompanied by his wife Brigitte, Macron is set to meet Putin on Thursday at the Constantine Palace outside St. Petersburg, a former royal summer retreat whose magnificent gardens open out onto the Baltic Sea. On Friday, the French couple will pay homage to the victims of the brutal German 1941-44 siege of St. Petersburg, then known as Leningrad — something very personal for Putin whose parents suffered in the battle. Later in the day, Macron is set to be guest of honour along with Japanese Prime Minister Shinzo Abe at the St. Petersburg International Economic Forum, an annual gathering of the country’s political and business elite. The personal relationship between Putin and Macron will face scrutiny throughout in only their third face-to-face meeting and the first since Putin won re-election in March. Macron pointedly never congratulated his Russian counterpart for his fourth term as president — after an election marred by “violations and shortcomings” in the view of the European Union. “I think that Macron and Putin could get on very well,” Russia’s former ambassador in France Alexandre Orlov, who took part in the first meeting in France last year, told AFP. “They are both very cultured and love history. “It would be completely normal if Macron develops a better relationship with Putin than with Trump, who are two completely different characters. “Trump is an uncultured man, violent and brutal,” Orlov added. Michel Eltchaninoff, a French philosopher and Russian specialist who wrote a book called “Inside the Mind of Vladimir Putin”, also sees both men as sharing a similar outlook on their role. “They have similarities in their desire to change the nature of voters’ relationship to politicians and they position themselves in the long history of their countries,” he told AFP. 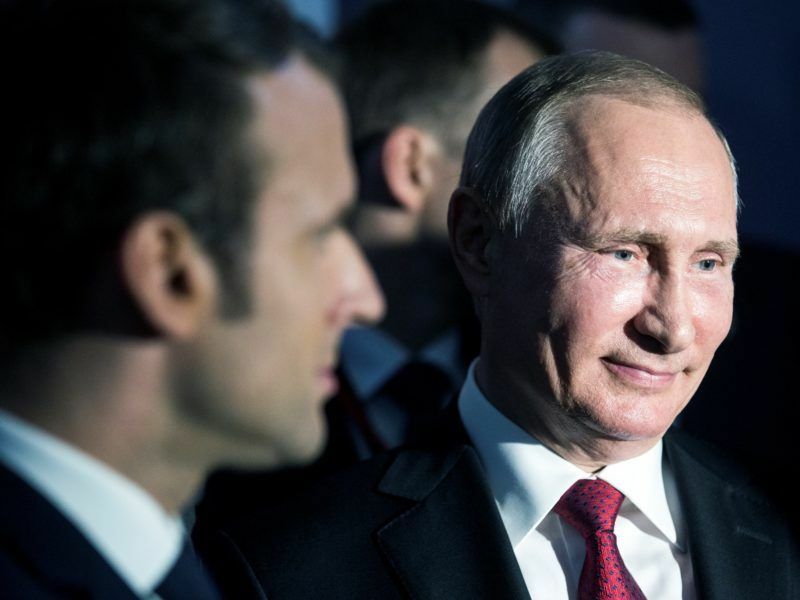 But he said Macron’s smearing in the Russian state media during his election campaign, and suspicions about Kremlin interference in Western democracies, had left a legacy of mistrust.